Reduces the wallowing feeling often felt on corners by drivers of 4X4 vehicles, together with quicker steering response. 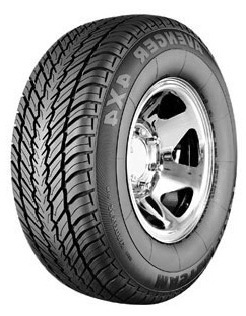 Helps resist aquaplaning, good water evacuation from the tread contact patch. Capable of sustaining speeds up to 130 mph (210 km/h) when tested on an indoor test wheel.